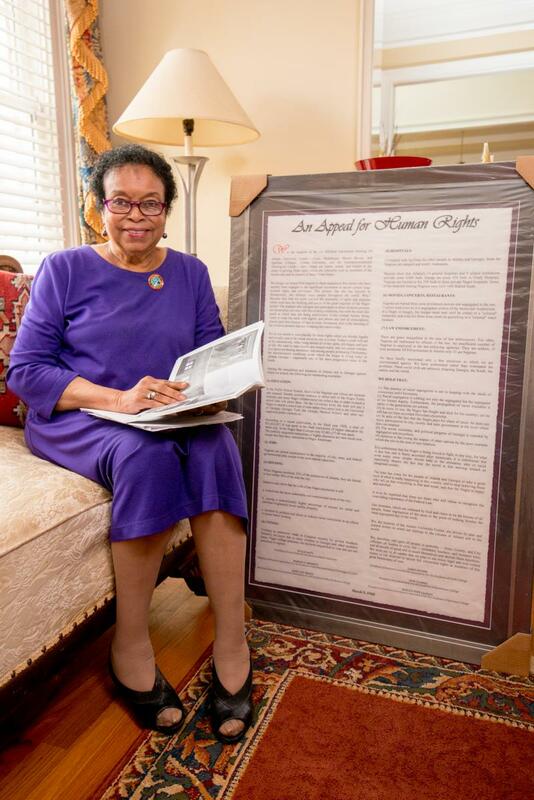 Dr. Roslyn Pope in her home next to her framed "Appeal for Human Rights" document. For Women’s History Month, On Second Thought is paying tribute to Georgia's female trailblazers. Civil Rights icon Dr. Roslyn Pope made history in 1960 when, as a student at Spelman College, she wrote “An Appeal for Human Rights." The document was instrumental in advancing the Atlanta Student Movement's efforts to end segregation. On Second Thought producer Fenly Foxen spoke with Pope about her experiences as a student leader in the Civil Rights Movement. OST Producer Fenly Foxen interviews Georgia Civil Rights icon Roslyn Pope. Roslyn Pope: I had been in Paris the previous year and had had a wonderful taste of freedom. I had not encountered any place that I couldn't go, any place that I couldn't eat or listen to music or study, go to the library. You know, even the libraries — the public libraries — were segregated during this period. Everything was a "no" to us. But I had been to Paris and I had had nothing but "yeses" for a whole year. Fenly Foxen: Let's talk about your document, "An Appeal for Human Rights." Explain to me your thinking process when you wrote that document. Pope: The six presidents of the colleges making up the University Center, they called together three students from each college to come and talk about what they had heard on the grapevine — that students were planning to make a move, they were planning to go downtown to picket and sit in, that we were gonna follow what Greensboro had done. And they were not happy about it. ... I started and wrote through the day and the night. Julian [Bond] was with me. He typed as I wrote. He typed... And we got it together just before it was due. Foxen: What does that feel like to know that you were part of such a momentous movement? Pope: I could not have imagined it. You know, we were trying to get our walking papers to take to the streets and it was in that spirit; though as I wrote it, I realized how important it was to me that I was writing it. I didn't know that it would be taught in different classrooms all over the country and even in other countries. 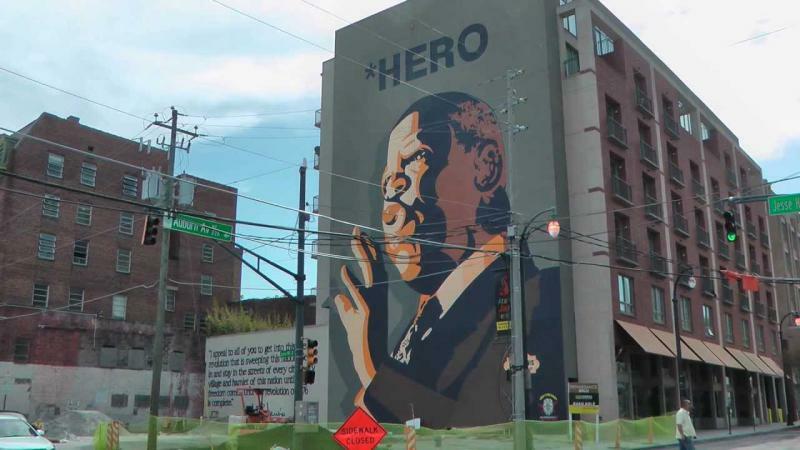 There’s no doubt Atlanta played a big role in the civil rights movement. 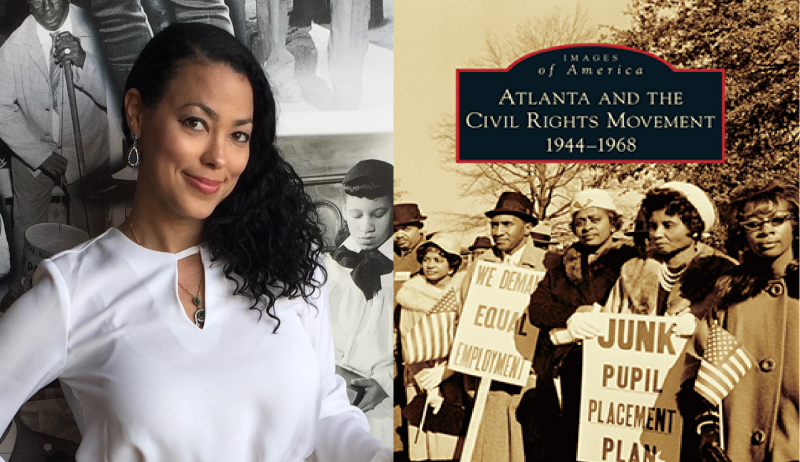 Now, that history is archived in a new photo book called “Atlanta and the Civil Rights Movement, 1944 -1968.” We talk with historian Karcheik Sims-Alvarado about the significance of these photographs. Dr. Sims-Alvarado will appear at the Atlanta History Center Saturday, June 17 at 11 a.m.
As cities like Atlanta grapple with Confederate history and what to do with symbols like America’s largest Confederate memorial atop Stone Mountain, there’s a push to recognize places of cultural significance for African-Americans. The National Trust, in partnership with The Ford Foundation, The JPB Foundation and Open Society Foundation, announced the creation of the African American Cultural Heritage Action Fund. 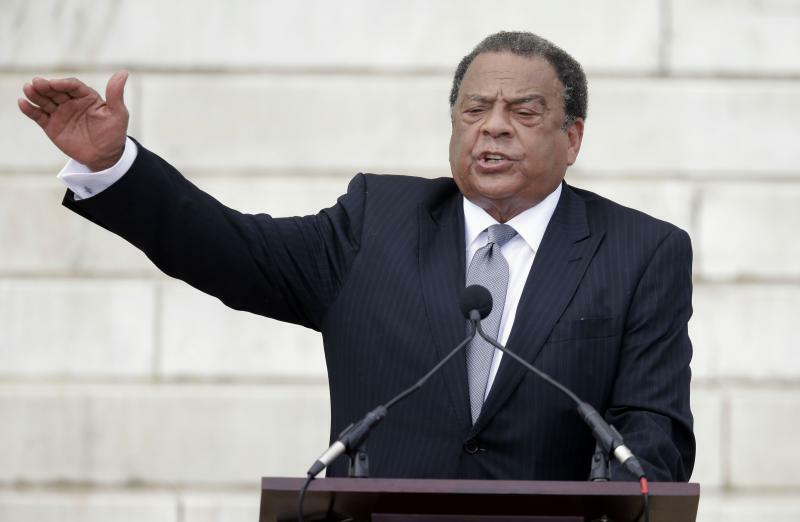 With New Year's right around the corner, we're re-airing our conversation with Ambassador Andrew Young in the spirit of self-reinvention. We hope that Young, a man who has been working on himself for his entire life, will inspire you as you write your New Year's resolutions.